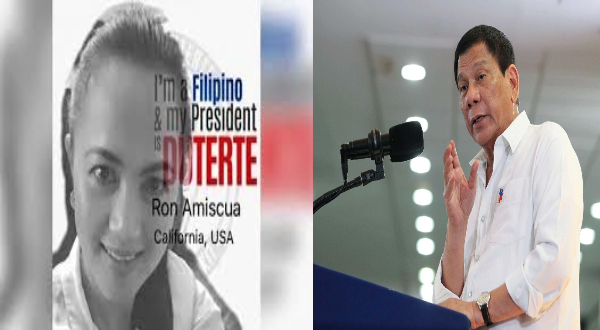 President Rodrigo Roa Duterte has always been a center of controversy, a man that is ridiculed and repeatedly accused of violations against human rights but so far Duterte has proven that every accusation and every one who doubted him wrong for this man of incredible ambition, one that exceeds Former President Ferdinand Marcos’ contributions to the development of the Philippines. But other than his achievements and ambitions, Duterte himself is a hero. A woman who was 13 years old during the 1989 Davao Penal Colony (Dapecol) hostage crisis narrates the heroism that the back-then mayor of Davao City embodied. The now currently living currently in California, USA woman stated that she was held hostage by the inmate of Dapecol, Felipe Pugoy throughout the entire crisis. The events started when the father of woman hosted a singing contest for the inmates of Dapecol through the organization called Volunteer in Prison Service (VIPS). The family of the host which includes the woman and her sister were there to watch the show and support their father then suddenly an inmate that called an inmate to the stage had her neck next to the tip of a knife. With the affirming words of “Hostage ito!”, the Crisis of Dapecol started. Everyone was in disbelief, every inmate was grabbing a civilian that will act as their human shield. The inmates that was lead by Pugoy had complete power during the situation and they took advantage of it. The inmates demanded the opening of the gate and bus transport which were soon uncontestably met. The hostages were never released after their demands were meant, probably in order to serve as insurance, the bus drove off without a destination set. She recalled that the police, army and government officials were all scrambling to pacify the situation but Mayor, at the time, Duterte did the unthinkable and asked the inmates to have himself traded in the place of the hostages. But the inmates just added him into the hostage roster, they took him in the bus and drove away. Duterte had no qualms with the inmates all he wanted was the safety of the hostages. They were around Compostela Valley during the second day of the hostage crisis. But Duterte’s determination was unmatchable, he kept talking, negotiating and convincing the inmates to return to Davao City and negotiate their demands. It didnt take minutes, but rather incredibly long hours before the inmates decided to take the bus around and drive back to Davao. They agreed to negotiate. The leader Pugoy even asked for Duterte’s shoes, in which he gave without hesitation. When they got back to the City Hall of Davao, the entire company had dinner and some inmates surrendered, including the one that took the woman as hostage but Pugoy switched his for her. They soon tried to make more demands in a small office room of the City Hall. It was currently the third day now and it didn’t take long for the local government to fulfill his demands and have him surrender. All 13 hostages were unharmed and alive due to Duterte’s bravery and ever-persevering determination. He made the inmates trust him and fulfill their demands and yet Duterte did. Duterte has shown everyone back when no one cared about his achievements, he bravely acted without regard for himself, a selfless hero, and he proved to the inmates that he can be trusted. Through a daughter of a Dapecol employee, Ron Amiscua and the affirmation of Duterte’s long-time driver and bodyguard Sonny Buenaventura, the story shared above is of the true events of the 1989 Dapecol hostage crisis.